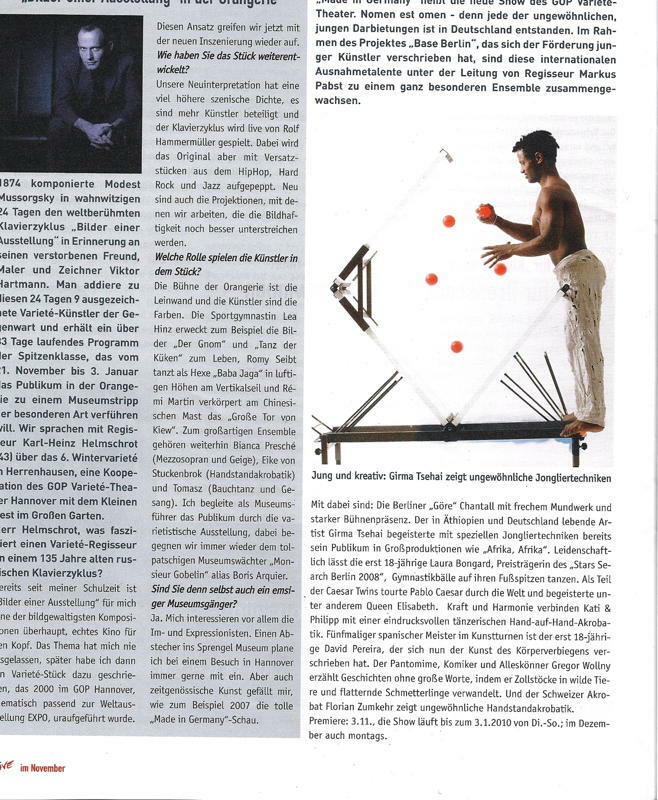 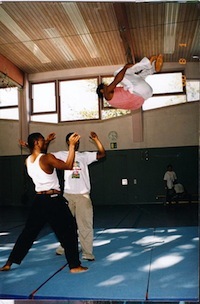 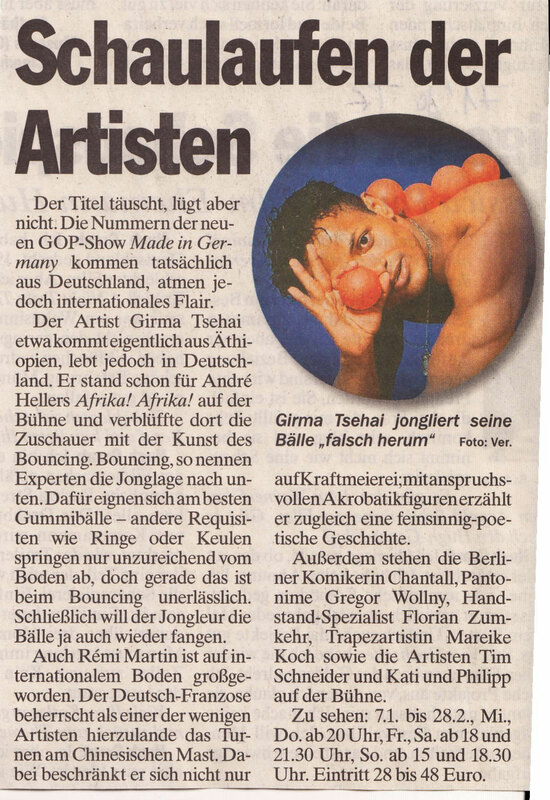 Girma Tsehai was born in Addis Ababa, Ethiopia; lives in Berlin and has been honing his craft since the early age of seven when he first started doing gymnastics. 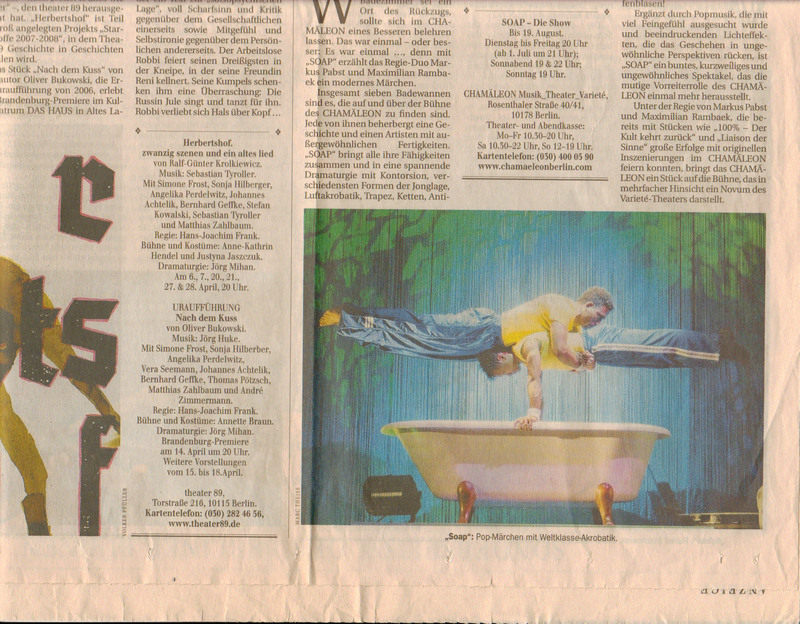 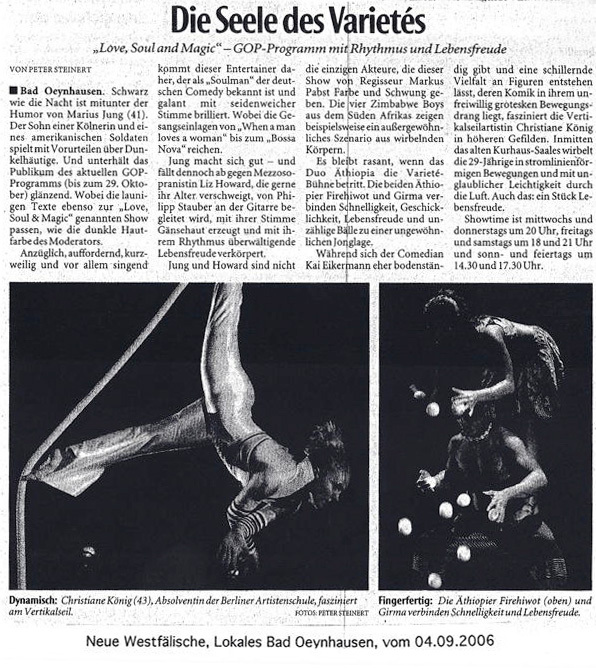 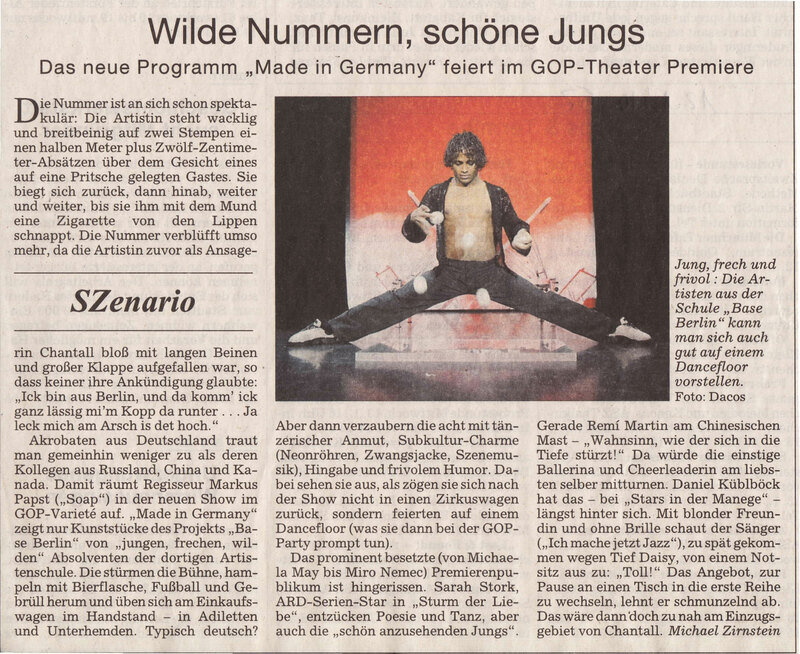 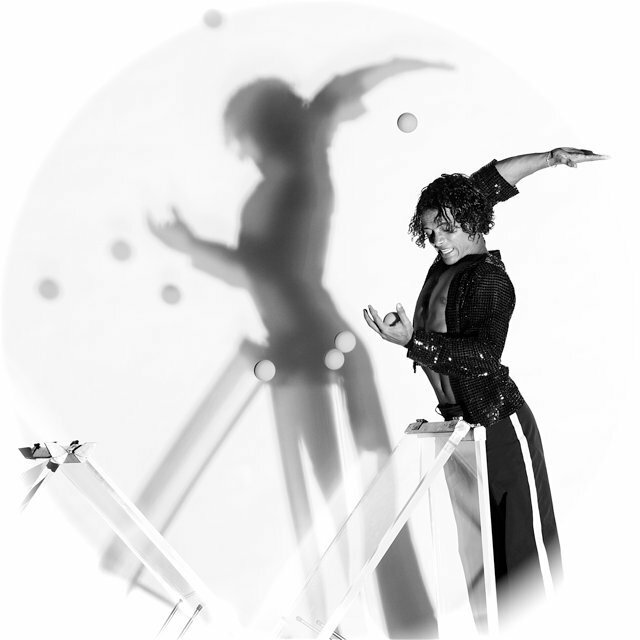 His blend of grace and edgy elegance attracted immediate attention, and he quickly made his mark by developing a unique style of Acro-Juggling—an intense rhythmic mix of gravity defying juggling set to music with heart-stopping acrobatics accenting every performance. 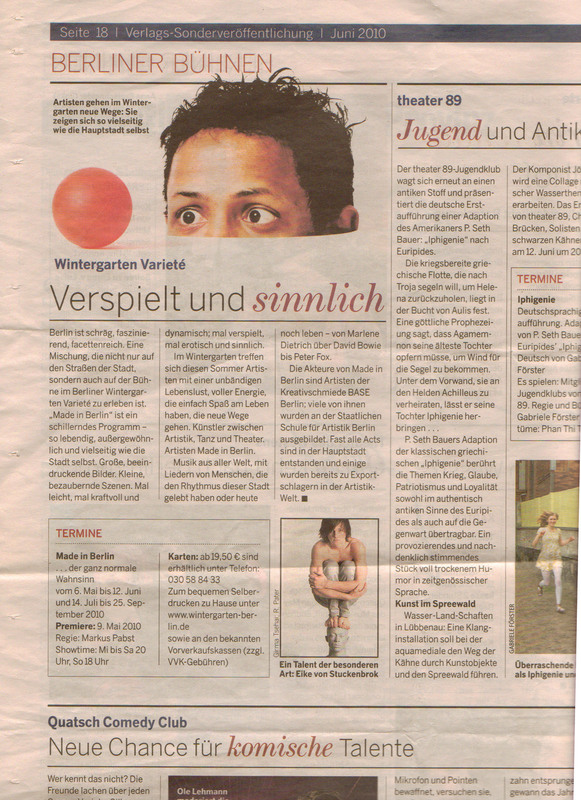 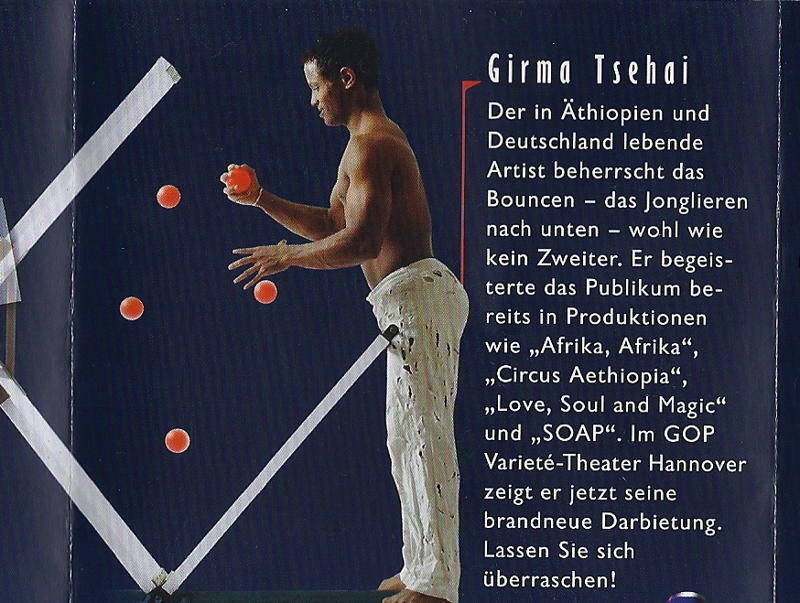 With his excellent and growing reputation plus his infectious personality, Girma was one of the first performers to be invited into the fresh and innovative performing group; BASE Berlin. 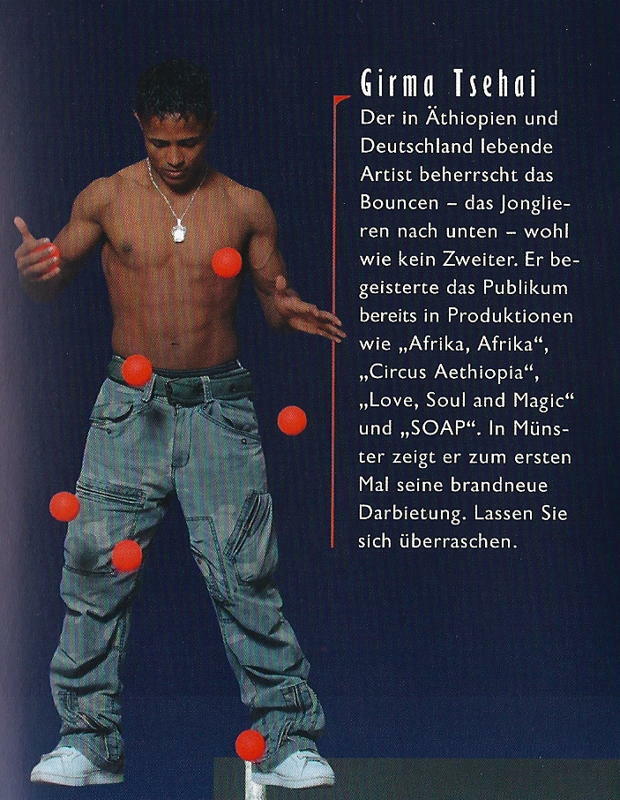 The result has been a new style of Acro-Juggling entirely of Girma’s own design,that has taken him all over the globe, with extensive seasons in New York,Miami,Las Vegas, Australia, New Zealand,Germany, France as well as featuring in some of the biggest corporate events in the UK such as the Daisy Ball. 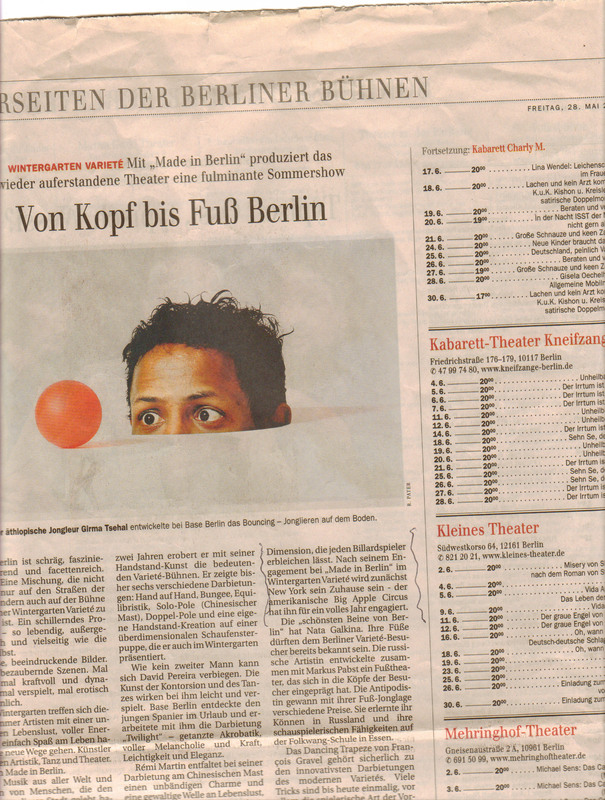 Never one to rest on his laurels, Girma continues to tirelessly work on new ideas and tricks, incorporating his many layers of experience and novel improvisation—And two years ago he embarked on his "One Man Show" career and performed on Cruise Ships and Theatre Festivals -he is a joy to watch and a great deal more than your average showman.